BB creams are the new rage with me and I am relying a lot on them to give me a natural everyday makeup base because My skin is behaving well (touch wood) and I dont have any major blemishes to cover. I have tried garnier and ponds BB cream before and was very impressed with the coverage ponds BB cream gave but my skin is dry and ponds BB cream tends to make it drier. I wasnt completely satisfied with ponds and decided to give Fair & lovely BB cream also a try to see if it is more moisturizing. 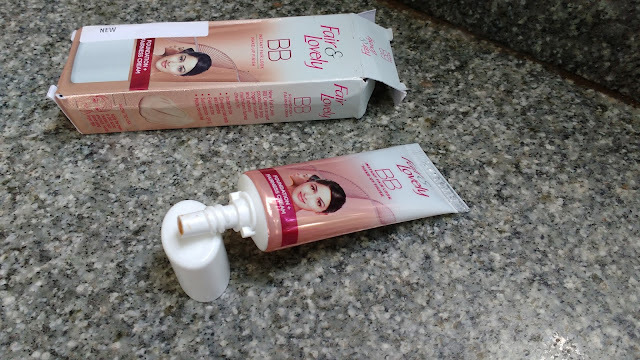 The Fair & Lovely Foundation + BB cream comes in a glossy plastic tube with a white screw cap and an elongated nozzle which is signature fair and lovely packaging I should say. I like how the tube is compact and easily fits into handbags for travel purpose. The BB cream also comes in 3 different sizes so you can buy the smaller one for travel and bigger one to keep in your vanity table. Overall nice job with the packaging. I have known about the brand Fair & Lovely since I was little but their fairness obsessed ads always keep me away and now when they launched a BB cream I decided to give it a try. 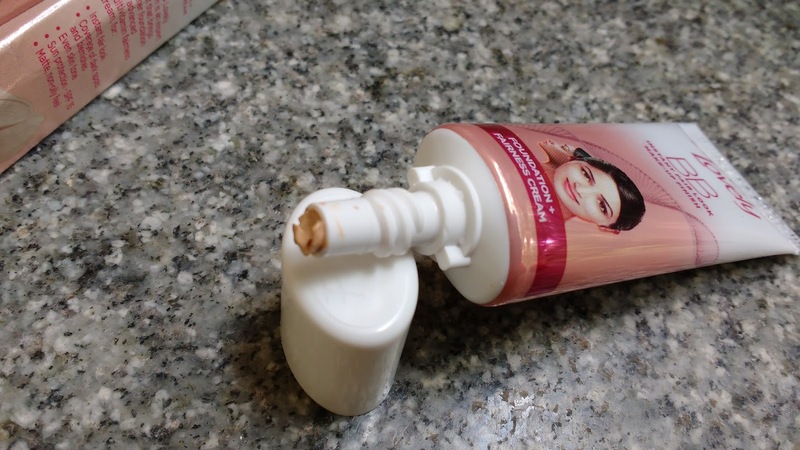 I ordered Fair & Lovely Foundation + BB cream on Amazon and by mistake I added two to my cart and noticed my mistake only when the item arrived home. I have almost completely exhausted one tube of Fair & Lovely BB Cream and this review is coming after putting it to 2 months of use. 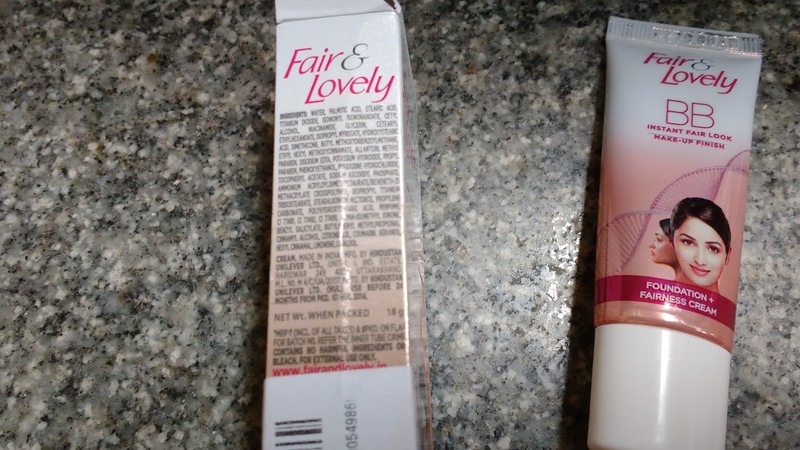 The fragrance of Fair & Lovely Foundation + BB cream is fruity and similar to other fair & lovely creams (my mom says) and it lingers on for a while. Also like garnier and ponds BB cream Fair & Lovely BB Cream also comes in a single shade which will suit most indian skin tones but darker and fairer looking girls will have to look else where. 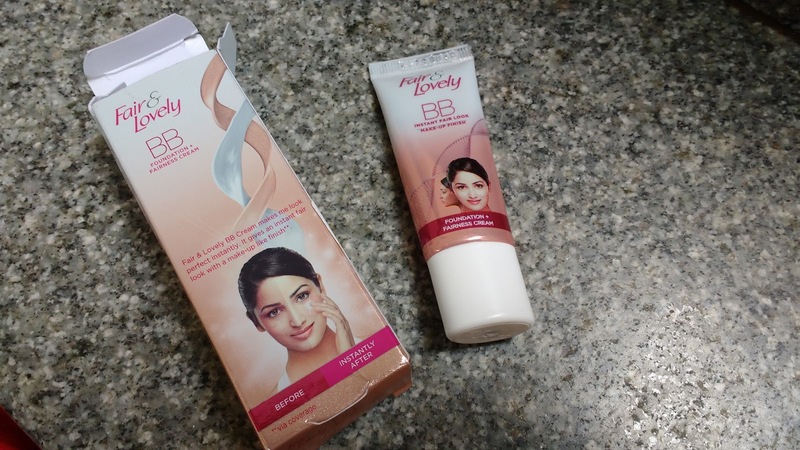 Fair & Lovely BB Cream has SPF 15 for sun protection which isnt much but will come handy indoors. I dot the Fair & Lovely BB Cream on my face and blend with my fingers and there is instant brightness on my face and the cream does even out the complexion but dont expect much because it wont cover blemishes or dark spots like a foundation does. The finish is matte oil free and I feel this BB cream is very drying on my dry skin so a moisturizer underneath is a must . The effect lasts for about 3 hours after which re application is needed. Blending this cream is very difficult for me as the consistency is very thick and I sometimes actually use a makeup sponge to blend it in because otherwise it gives me a whitish cast which looks very artificial and made up. This may suit oily skinned beauties more but sensitive skin beauties should stay away because this cream causes slight irritation while I try to blend it because of its difficult texture. It can break you out. Having dry skin means this product was a total dud for me but I somehow almost finished one tube by trying tricks like mixing it with moisturizer and other foundations. I dont know what I will do with the second tube which I ordered by mistake! 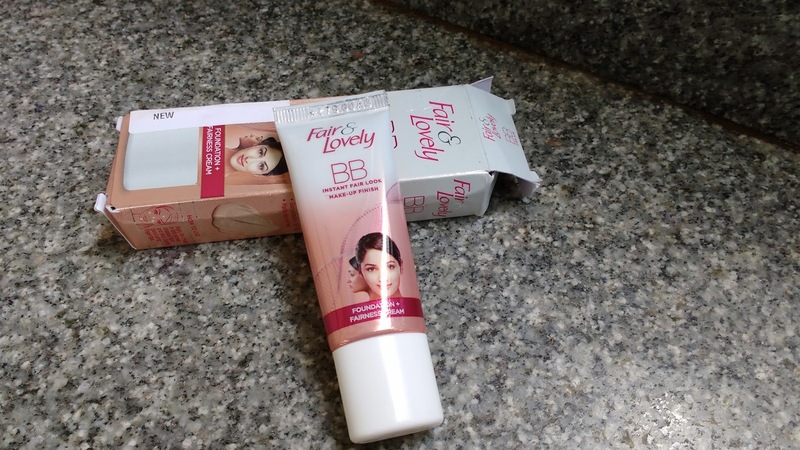 Fair & Lovely Foundation + BB cream is a strict no for dry skinned beauties and while oily skinned beauties can give this a try because it come easy on the pocket I recommend you go in for something which lasts longer has better SPF and blends easily like ponds BB cream .